Our product range includes a wide range of led showers, 8 ultra slim stainless steel shower head and sliding shower. 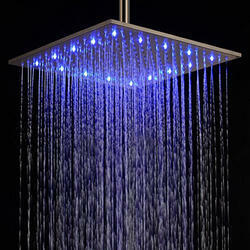 In order to cater the diversified demands of our clients, we have been able to provide a unique range of LED Showers. The offered showers are useful for bathing. In accordance with defined industry standards and norms, these showers are manufactured by our diligent professionals using optimum grade material as well modern techniques. Apart from this, the provided showers go through numerous quality checks to avoid any possible flaw. 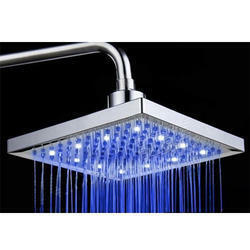 As a quality driven enterprise, we are engaged in providing a beautiful range of LED Showers. These showers are used to install in bathrooms of homes, hotels, etc. Under the direction of dexterous technocrats, these showers are manufactured using supreme class material with the help of contemporary technology. In order to ensure its functionality, our quality examiners duly check these showers against diverse measures of quality in compliance with predefined industry standards. Keeping in sync with the latest trends, we are engaged in providing a trendy array of 8 Ultra Slim Stainless Steel Shower Head. 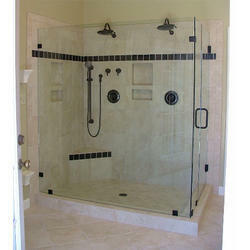 This shower is suitable for bathing and improving the look of bathroom. Our offered shower is manufactured under the guidance of our deft workforce using quality assured stainless steel with the help of sophisticated techniques. 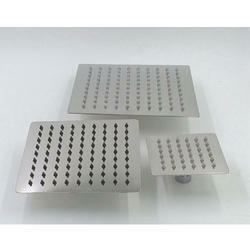 As per the set industry standards, this shower is duly checked on different parameters to eliminate any possible defect. 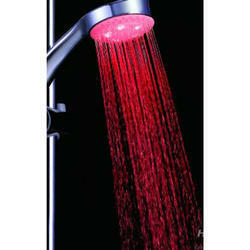 Being a quality-centric organization of this industry, we are engaged in providing a wide array of LED Showers. The offered showers are designed to install in bathroom. At our sound manufacturing unit, the provided showers are precisely manufactured under the guidance of skilled technocrats using quality assured material with the assistance of contemporary techniques. In addition to this, the provided showers are rigorously examined by our quality experts to ensure its functionality. 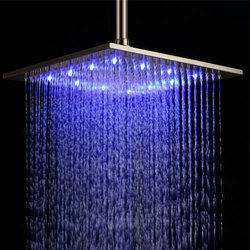 We are offering LED Showers to our clients. We are offering Sliding Shower to our clients.